This compilation of celtic music from Ireland and abroad, was initially released in 1995 in the UK. The collection featured a number of Irish performers, including the song “Heroine” by The Edge and Sinead O’Connor. That song had been recorded for the “Captive” soundtrack in 1986, and included Larry Mullen Junior on drums. The song was also released as a single in 1986. This compilation uses the song, but gives little in the way of explanation, and the only credits for the song are the writers of the song. 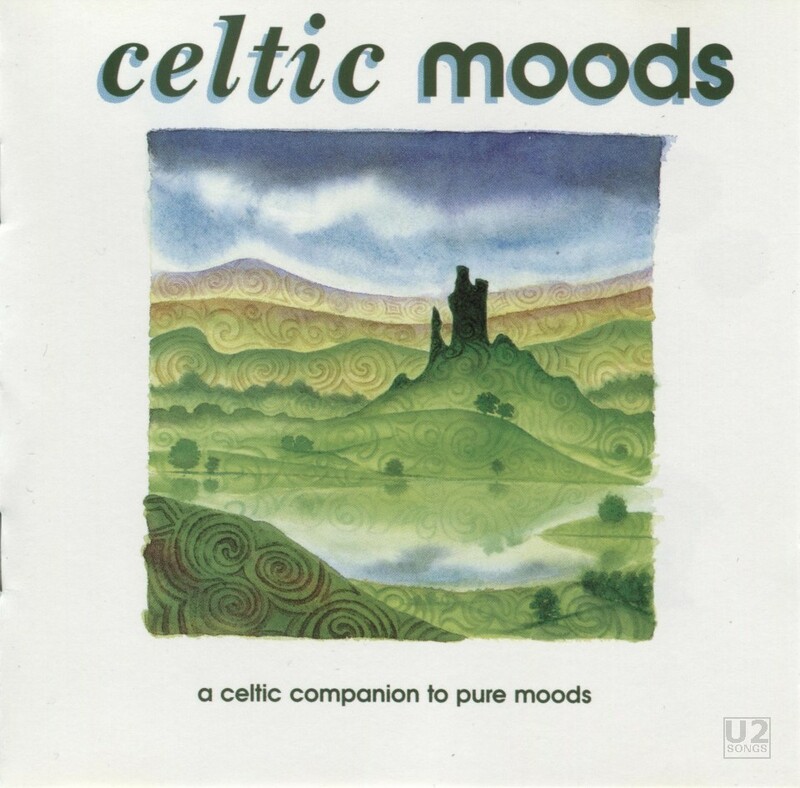 It is one of a number of compilations called “Celtic Moods” so if searching for the compilation, one will have to be sure of the track listing before purchase. After two years of release in the UK, it was released in the US by Virgin Music to capture some of the growing market for celtic music on this continent. It was released with similar artwork and the same tracklisting in both regions. The version of “Heroine” here is the soundtrack version of the song, and not the rarer remix version of the song. For more information on “Heroine” please follow on to the entries for the single, as well as the soundtrack to “Captive”. Heroine: By The Edge, Sinead O’Connor, Michael Brook.